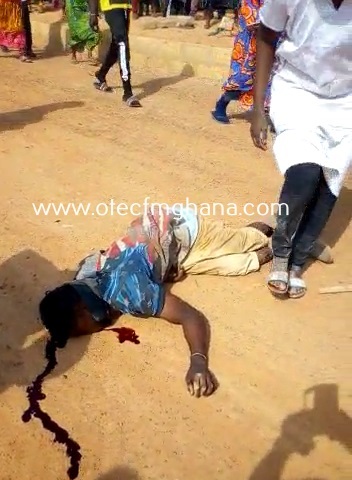 One person is in a critical condition after falling unconscious following tensions that have ensued between traders and workers of a private developer, known as Avoka, at the Kumasi Race Course market on Monday, February 11, 2019. The victim, a man believed to be in his thirties, a known mason at the area, was seen unconscious lying on the ground, with blood oozing from the head, nose and mouth, when he was hit by a stick from unknown source. Tension has been mounted at race course as traders fight for spaces following their sack from unauthorized spaces around the Kejetia redevelopment project. This according to the authorities is in preparation for the opening of road networks towards the commissioning of the project which started in 2015, and their presence will impede the assessment of the facility. 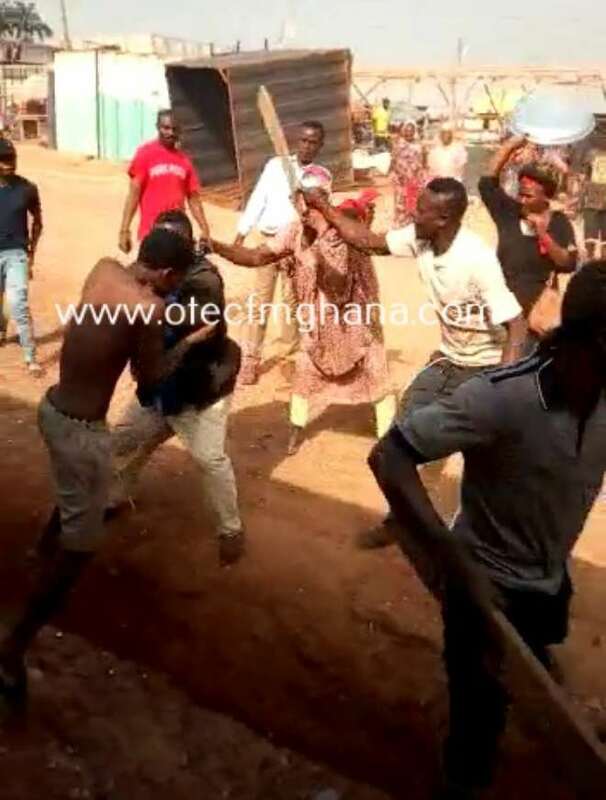 Scores of fights have recorded at the place between private developments managing the place, according to Otec News’ reporter Akwasi Owusu Achiaw, reporting on Otec FM’s morning show ‘Nyansapo’, hosted by Captain Koda. “The fights started when the traders moved to site owned by Avoka to secure spaces but were restrained by his bodyguard called Abass, popularly known as ‘Abodee’, by heckling them. The traders put up a defense by throwing stones and stick,” Owusu Achiaw narrated. “While the fights were ongoing, a mason working for Avoka was hit by a stick, fell on the ground and blood were seen oozing from the nose, mouth and the head,” he added. The reports said he was rushed to the Komfo Anokye Teaching Hospital (KATH) for treatment.